A New Year, new hopes for all of us as we seek to improve our own and others performances and further develop orienteering. Before launching fully into the new year, below are further comments on a couple of issues arising from the Under 23 Camp in December – food for thought at least. There is then a report on the Wellington/HP camp which provide some excellent opportunities for individual coaching for those who were there, and finally, apart from a few updates, the report on the season opening South Island Championships and National O League Round 1. As reported in last month’s summary of the U23 camp, participants underwent the intermittent Yo-yo test, a variation of the beep test. In the intermittent Yo-yo test cones are used to mark out two lines 20 meters apart. The participants start with their foot behind one of the lines, and begin running when instructed. They continue running between the two lines, turning when signalled by recorded beeps. After each 2×20 m set there is a 10 second recovery. After each minute or so, the pace is increased. If a participant does not reach the in time they must catch up with the pace within 2 more ‘beeps’. The Yo-yo test as described above has generally been used for fitness assessment in team sports such as football which involve stop-start activity, and the level reached is an indicator of VO2max – a measurement of the maximum amount of oxygen a person can utilize during intense exercise. 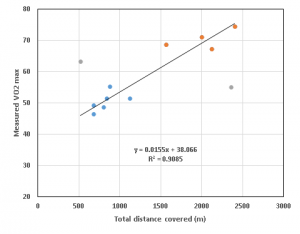 Converting Yo-yo test results to actual VO2max is somewhat complicated and the level or total distance covered in the test is sometimes quotes in terms of the indicated level of fitness. An example of this is shown below. 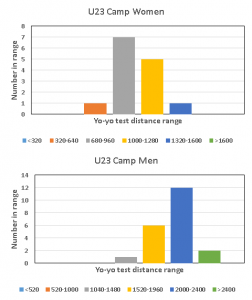 For the test carried out at the U23 camp the levels reached ranged from levels 6.2 to 8.8 for the women (total distance covered 520-1400 m, although the 6.2 was almost certainly an aberration) The men ranged from levels 8.7 to 12.5 (1360-2560 m). Overall the plots below show the spread of results for both the women and the men in the ranges given in the table above. Many things can of course affect an individual’s result in such a test, not least the competitive spirit to better one’s peers and the level of tiredness going into the test. The results achieved at the camp do suggest, however, that a majority of the men fall into the categories of excellent or elite, while the results for the women are somewhat less impressive with only one participant making the excellent rating. To put these results into a wider New Zealand sport context the top results reported from the Hurricanes 2014 pre-season Yo-yo test were Hugh Renton – level 18.6 (1960 m), Brad Shields – 19.1 (2080 m), Frae Wilson – 19.7 (2320 m) and James Marshall – 20.4 (2520 m) (https://www.stuff.co.nz/sport/rugby/super-rugby/63616830/null). In terms of actual VO2max levels the laboratory testing of around a dozen athletes carried out by Rachel Hendrie allows us to draw a direct correlation between the Yo-yo test results and VO2max using the results of these athletes. 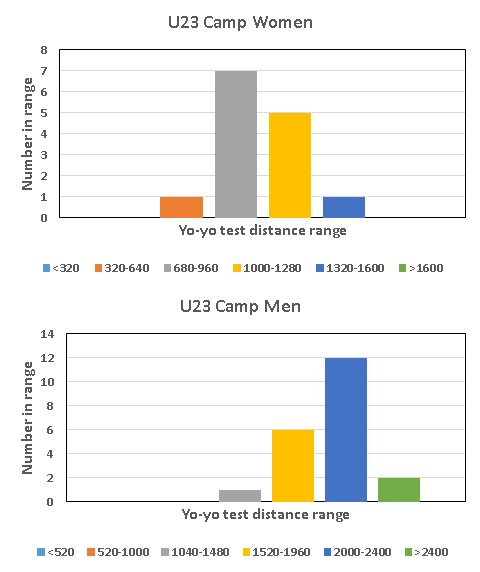 Of the 12 there are two distinct outliers – one who apparently underperformed in the Yo-yo test relative to the lab, one for which the opposite was true. 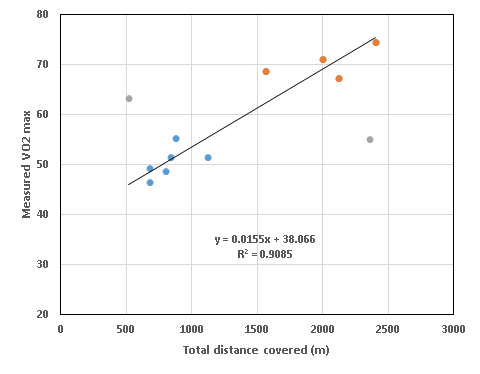 Excluding these two results there is a remarkable correlation (R2 > 0.9) between the Yo-yo test and the laboratory measured VO2max, allowing a reasonably confident prediction of VO2max for those who did not undergo laboratory testing. This is shown below with results for the women in blue, the men in orange and the two excluded results in grey. Also at the Under 23 Camp in December the athletes were asked to contribute their anonymous opinions a series of questions that were posed to the. The responses were/are illuminating and, hopefully. Point the way forward in some areas. Q1: How have orienteering camps worked for you, what age groups do you think the different camps should be for, and what do you think about the timing of the various camps? The majority responses here were that the camps are highly beneficial (although, admittedly those who might not think this presumably weren’t in attendance!). It was strongly endorsed that the ONZ Junior Camp should be for Year 9 upwards, and the Under 23 Camp for ages 17/18-23 only. 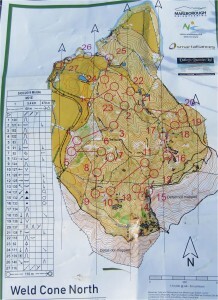 There was also a strong majority that emphasised that the Under 23 Camp should only be for those who are serious about their orienteering. There was one suggestion that there should be separate camps for Years 9-11 and Years 12-13. 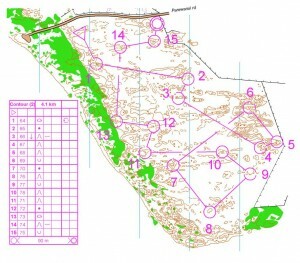 The late(ish) December timing for the Junior Camp was widely accepted as appropriate, but there was a bit of division over the timing of the Under 23 Camp, with suggestions including both that it could be earlier and that it should be later. These responses to a large extent are what might be expected. The timing of the Under 23 Camp does, of course, impact on the possibility of summer employment foe many. However, the same would be true post-Christmas/New Year prior to school/university restarting, and it is difficult to find another period in the year which would be free for a majority of people. Q2: What sort of training opportunities do you get through your club or region? With the sole exception of people from the Christchurch region (PAPO pat yourselves on the back) from the point of high performance the responses to this were uniformly depressing. Excepting yearly camps in Wellington and possibly Hawkes Bay, it is quite clear that in other areas there is little training organised regularly through the clubs. What does occur is very heavily dependent on the dedication of a few individuals, and nowhere outside Christchurch is there any regular club-organised training. 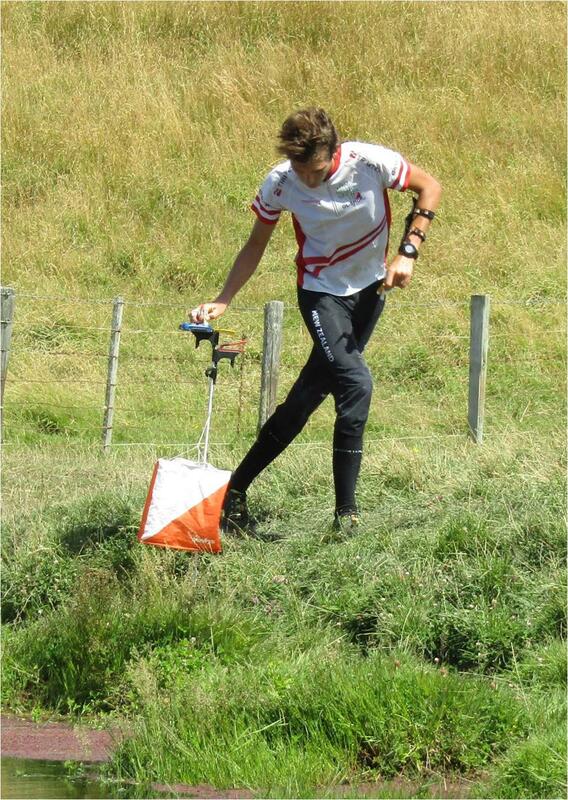 As was pointed out in talks at the Wellington camp this year, orienteering training without the pressure of an event should be a regular activity. 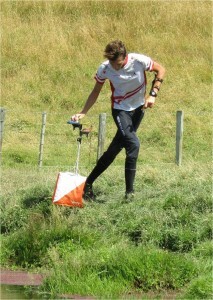 Q3: What do you think of the opportunities to represent regions/New Zealand in orienteering? The answers to this covered a wide variety of things including Schools’ teams to Oz, the SuperSeries/National O League, Pinestars, and the World University Champs. Uniformly there was the suggestion that the last three of these all need a higher profile. In terms of the SS/NOL a few people suggested cash prizes (something which incidentally is not, despite what many think, very common anywhere in the world. However, more enthusiasm among the regions (which was certainly evident in the early days with O-suits and local sponsors) would be welcome. Similarly, the Pinestars–Bushrangers test matches need a higher profile. This is something which should come about in 2019 when the rules will change and the Aspin-Key Trophy will be contested for over both the home and away matches rather than separately at both. The World University Championships also needs to be recognized as a major competition which at the top end is of a higher level than JWOC. As we move to the next WUOC in Russia in 2020 this will have a higher priority for ONZ. Finally, there was unanimous agreement that the sending of two teams to the Australian Schools Champs is desirable. Over half of the Under 23 Camp participants credited being in the current “invitational” team with helping to keep them in orienteering. From 2019 ONZ will indeed be invited to send 2 official teams. However, along with official status will come a requirement for a more structured organisation in terms of finance, accommodation, transport, and, not least, in numbers of accompanying adults. Perhaps not as simple as it might seem. 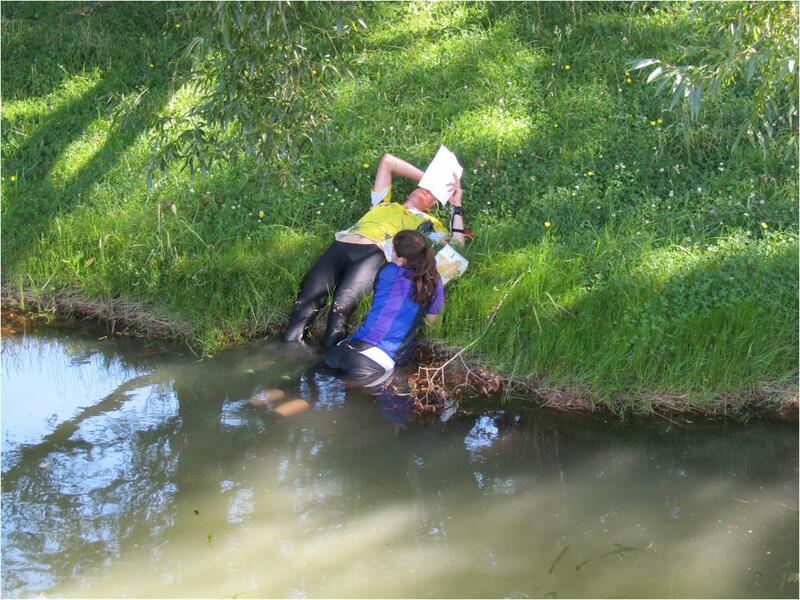 The Wellington regional camp over 19-21 January was this year opened as a HP camp and saw an influx of people from outside the region. This included 4 top juniors from Auckland, 2 from Hawkes Bay, and a further 3 from Christchurch, as well as the local juniors and elites. An additional bonus was being able to call on the experience of Carsten Joergensen, Bill Edwards, Gene Beveridge, Conor Short, Imogene Scott and Lizzie Ingham. Over the course of the weekend this allowed nearly all of the juniors, and some of the less experienced elites, to be paired with one of these and given individual feedback on techniques. From the feedback that this received it was obviously a great success and a big thanks goes to all of the above named individuals for being prepared to mentor. The weekend started with training on Osgiliath in Waitarere Forest. 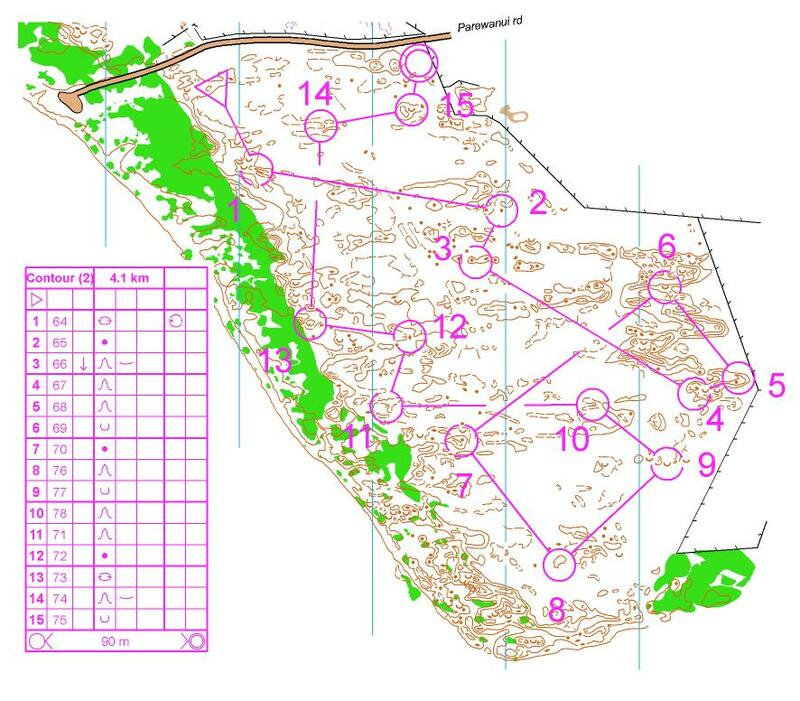 There were two exercises, the first involving two orienteering intervals with a line section through the macrocarpa strip in between. 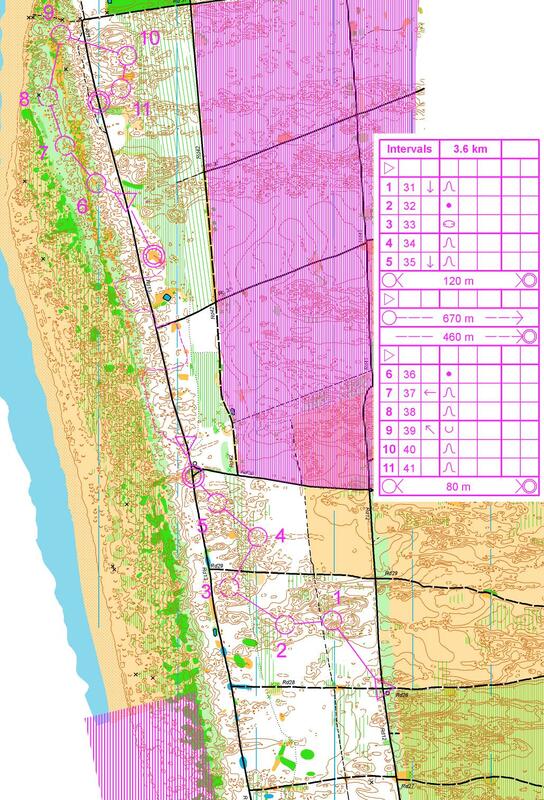 The second a straight course taking in the (overgrown) open dunes, the macrocarpa strip and the open forest. Sunday was spent on Scott’s Ferry. The morning took in a series of exercises including line, relocation, O-intervals, control picking and memory/simplification all rolled in back-to-back. The afternoon went on to the well-used southern part of the map but used a contour only map, thus removing all the tracks and linear features which litter this part of the map. The day ended with a short forest sprint. The morning of holiday Monday was dedicated to sprint training with the main exercise being a series of sprint intervals on Palmerston North Girls High School. This was sandwiched between a short route choice exercise and a final sprint course on Palmerston North Esplanade. The whole impeccable logistical organisation of the camp was carried out by Paul Teesdale-Spittle to whom a big vote of thanks is extended. The SI Champs, successfully hosted by Marlborough OC, drew a pleasingly large field, especially in the M and W20 classes where the first indications of who will challenge for JWOC places in 2019 were on display. In terms of numbers the elite grades were dominated, not unexpectedly, by South Island athletes, although many of the honours went north. 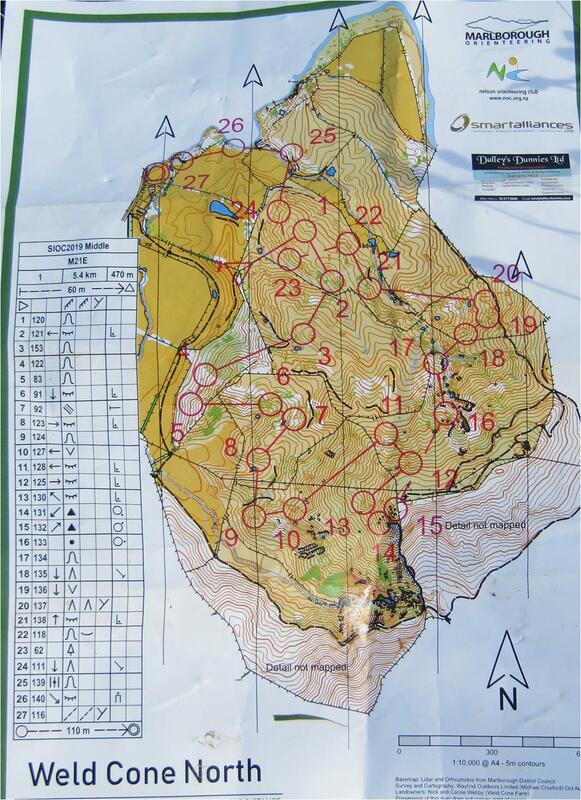 Proceedings started on Friday afternoon with the sprint on the Fultons Stream map which took in Marlborough Girls College, Bohally Intermediate School and, with the aid of two controlled road crossings, Bohally Park – a mixture of formal gardens and woodland with the stream winding through. In the elite grades Gene Beveridge and Lizzie Ingham were clear winners, Gene aided by a mis-punch from Nick Hann, and Lizzie withstanding a one minute error near the end of the course when she headed for a non-existent gap in an uncrossable fence. Both M20 and W20 threw up mild surprises with Ronan Lee edging out Joseph Lynch by 5 seconds and a further second back to Aryton Shadbolt in 3rd, and Tessa Burns having triple that margin over Marisol Hunter and Kaia Joergensen in joint 2nd. It was the start of a good weekend for both Ronan and Tessa. Paradoxically the sprint was the only event of the weekend which resulted in wet feet due to a marked crossing of Fultons Stream! M21E: 1. Gene Beveridge (NW) 15:53, 2. Conor Short (WN) 18:39, 3. Ed Cory-Wright (PP) 18:58, 4. Bill Edwards (HV) 19:39, 5. Jake Hanson (WN) 20:03, 6. Tim Wright (PP) 20:35. W21E: 1. Lizzie Ingham (WN) 18:23, 2. Lara Molloy (WN) 20:04, 3. Sara Prince (PP) 20:51, 4. Tessa Ramsden (RK) 22:49, 5. Anna Parsons (AK) 26:46. M20: 1. Ronan Lee (HB) 16:14, 2. Joseph Lynch (PP) 16:19, 3. Aryton Shadbolt (PP) 16:20, 4. Scott Smith (PP) 16:28, 5. Isaac Egan (PP) 16:57, 6. Will Tidswell (HB) 17:43. W20: 1. Tessa Burns (HB) 17:34, 2=. Marisol Hunter (PP) 17:49, 2=. Kaia Joergensen (PP) 17:49, 4. Anna Duston (AK) 17:56, 5. Jess Sewell (NW) 18:26, 6. Amber Riddle (HV) 18:56. With MOC providing a wonderful communal camp site at Ward Domain there was only a short distance to travel, up on to Cape Campbell, for Saturday’s long distance. Although the weather threatened to be hot, the arrival of a relatively strong breeze, and the fact that planner Matt Turner had allowed for the possibility of a very hot day and been conservative in his course lengths, made for an excellent event. In M20 Joseph took revenge on Ronan, although only by 4 seconds, but nearly 2 minutes ahead of Will Tidswell in 3rd. In W20 Katie Cory-Wright again showed that long distance appears to be her real strength with a win over Tessa and Marisol. Lizzie was relatively unchallenged in W21E – fellow WOC representative Imogene Scott nearly 5 minutes back and herself nearly 4 ahead of Lara Molloy. After his mis-punch in the sprint Nick beat out Gene by just over a minute, Ed Cory-Wright coming in in 3rd. M21E: 1. Nick Hann (PP) 1:18:50, 2. Gene Beveridge 1:19:52, 3. Ed Cory-Wright 1:23:45, 4. Matt Scott (PP) 1:24:11, 5. Tane Cambridge (PP) 1:25:13, 6. Aaron Prince (PP) 1:25:19. W21E: 1. Lizzie Ingham 1:03:39, 2. Imogene Scott (NW) 1:08:24, 3. Lara Molloy 1:12:10, 4. Sara Prince 1:14:52, 5. Tessa Ramsden 1:23:01, 6. Lara Scott (PP) 1:25:25. M20: 1. Joseph Lynch 52:55, 2. Ronan Lee 52:59, 3. Will Tidswell 54;35, 4. Jason Bond (TK) 55:55, 5. Oliver Egan (PP) 59:35, 6. Scott Smith 1:00:36. W20: 1. Katie Cory-Wright (PP) 1:05:50, 2. Tessa Burns 1:07:03, 3. Marisol Hunter 1:08:05, 4. Marina Comeskey (WN) 1:08:55, 5. Briana Steven (PP) 1:09:50, 6. Kaia Joergensen 1:10:20. The hot day that never quite eventuated on Saturday arrived with a vengeance on Sunday for the middle distance on Weld Cone. Although the older and younger classes had respectable winning times, unfortunately planner Michael Croxford rather overestimated the capabilities of the elites and 20’s. This led to the elite winning times being about 80% over the recommended and the 20’s about 30%, with many of the athletes suffering in the heat and a relatively large number of dnfs. Nevertheless, Gene, Lizzie, Joseph and Tessa all continued their winning ways, Gene a couple of minutes ahead of Nick, Lizzie with a 9 minute margin, and Joseph with a little of 3 minutes. Only in W20 was it close where Marina Comeskey finished only 11 seconds behind Tessa. M21E: 1. Gene Beveridge 1:02:31, 2. Hann 1:04:29, 3. Matt Scott 1:10:37, 4. Aaron Prince 1:10:47, 5. Tane Cambridge 1:17:45, 6. Conor Short 1:22:15. W21E: 1. Lizzie Ingham 1:00:37, 2. Sara Prince 1:09:27, 3. Ellie Molloy (WN) 1:13:56, 4. Lara Molloy 1:18:25, 5. Lara Scott 1:26:20, 6. Tessa Ramsden 1:36:11. M20: 1. Joseph Lynch 47:53, 2. 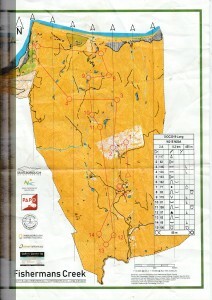 Scott Smith 51:12, 3. Will Tidswell 52:00, 4. Oliver Egan 1:00:29, 5. Ronan Lee 1:01:36, 6. Jason Bond 1:01:48. W20: 1. Tessa Burns 46:40, 2. Marina Comeskey 46:57, 3. Briana Steven 50:02, 4. Katie Cory-Wright 51:54, 5. Marisol Hunter 53:39, 6. Kaia Joergensen 55:44. 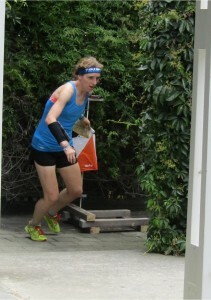 The heat notwithstanding the South Island Champs proved to be an excellent start to the year. A big congratulations to Marlborough OC, who as a small club, did an excellent job of organisation. The South Island Champs races were, of course, the first round of the NOL for 2019. Although the teams’ competition will only kick-in with the ONZ Champs and Queens Birthday, the individual race for titles is now under way. After the three races the top standings in seniors and juniors are as follows. W20: 1. Tessa Burns 280, 2. Marisol Hunter 185, 3. Katie Cory-Wright 181, 4. Marina Comeskey 165, 5. Kaia Joergensen 160, 6. Briana Steven 135. 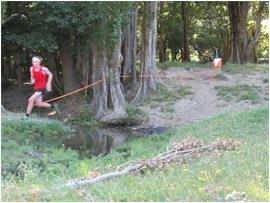 The second round of the NOL will be run in conjunction with the first set of JWOC trials on 30/31 March in Auckland. This will consist of a sprint and a long distance, the later promised by Matt Ogden to be of “unparalleled quality”! This will be in Rotorua (and possibly extend to Taupo) on the weekend of16/17 March. Further details will be published when the maps are finalised, but those interested should mark it in their diaries now.